Although at first not much information was available, Greg Taylor already said on the 13th of June that the error is known and they were looking into it. It’s good to see that the errors (although presenting them as critical), do no harm. 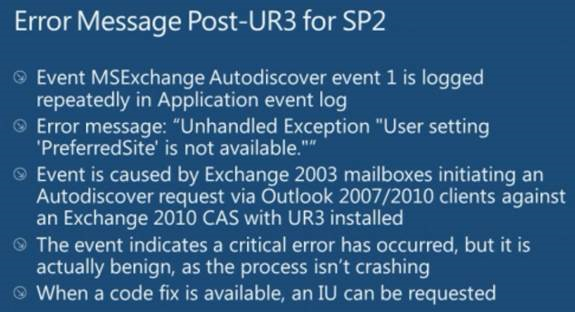 Unfortunately, the more mailboxes you have, the more errors you’ll have in your event log. From what I can see, there might even be an error every few seconds; therefore possibly flooding your event log. Microsoft will make an Interim Update available. However; at time of writing no fix was available yet. A trip down memory lane. 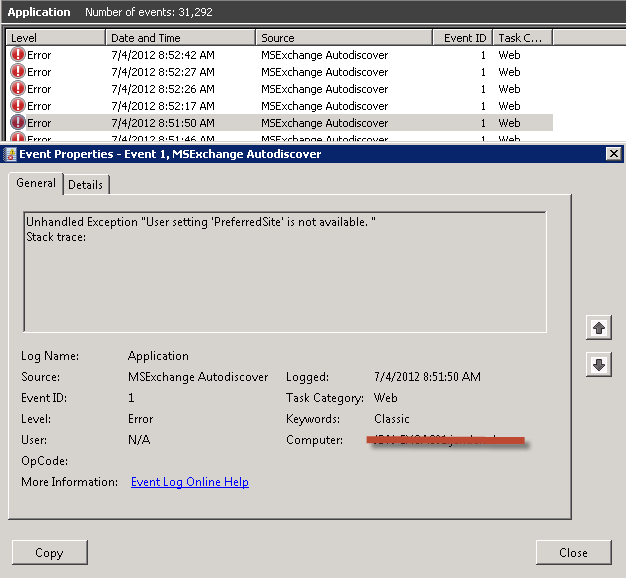 I believe Exchange 2010 SP1 CU 3 also had multiple versions. However, I don’t think MSFT will be re-deploying the CU. As said: it’s only a bug that doesn’t have an impact (other than flooding the event log).